Samba is music from Brazil that is played in a large percussion ensemble, many voices coming together as one. 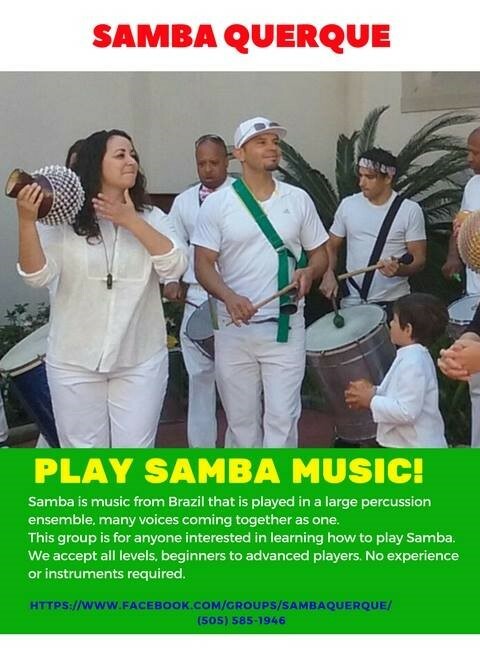 This group is for anyone interested in learning how to play Samba. We accept all levels, beginners to advanced players. No experience or instruments required. We meet at the Northwest corner of Tiguex Park at the picnic tables.